One of the most common posture problems is forward head posture. By placing the weight of your head towards the front of your body, the muscles of your neck need to work harder. This is usually the result of sitting at a desk all day and can lead to shoulder issues, headaches, and jaw problems. When you spend so many hours in front of your monitor, it’s important to position it well. When your monitor is too close, you’ll tend to slouch forward. As a rule of thumb, set up a distance of 18 to 24 inches between the monitor and your head. But the height of the monitor is important as well. You need to make sure that you are able to look at it directly or you’ll be causing strain on your eyes and neck. Make sure your eye level is aligned with the top third of the monitor. Many people who suffer from bad forward head position try to improve their posture holding their head back. However, this isn’t the solution because you’ll usually tend to overcorrect. The best thing you can actually do is to lift your chest. Do this by puffing out your chest and you’ll notice better posture immediately. There are many simple exercises that help you correct posture. One of them is doing chin retractions. While you’re sitting at your desk, pull your chin back to make sure that you’re stretching the back of your neck. Repeat it about 8 times every hour during the work. 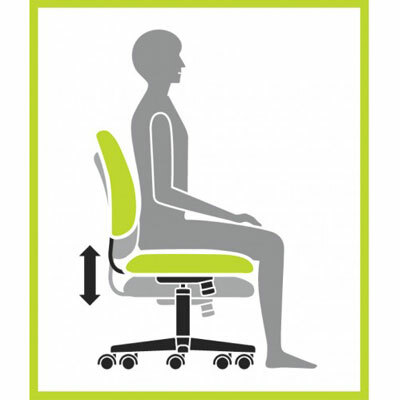 Using an ergonomic chair will provide you the support you need to improve your posture while working at a desk. However, you also need to make sure that you adjust its height, the backrest angle, the seat angle, and the armrests. When you can’t replace your office chair with an ergonomic one, you can use a supportive neck pillow. When you’re using this pillow, you’re making sure that your neck remains in a good position the entire day and offers support that follows the natural curvature of your neck and head. You can also try a pillow with good head support while sleeping at night. Forward head posture braces are one great way to make sure that you maintain a good posture throughout the day. One of the best forward head posture braces on the market is the ComfyMed Posture Corrector Clavicle Support Brace CM-PB16. 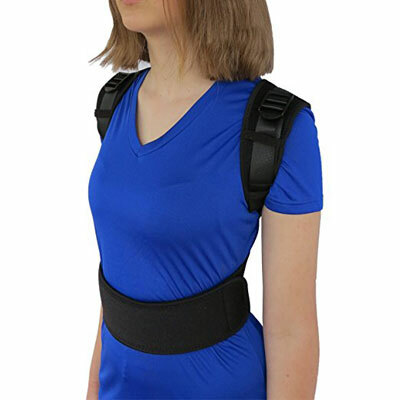 With a new hybrid design, this forward head posture brace improves your posture but still allows you to move around. This Figure 8 brace is easy to put on and take off, it’s comfortable, and provides superior support. Made with only the best materials, the ComfyMed Posture Corrector Clavicle Support Brace CM-PB16 is both durable and washable. 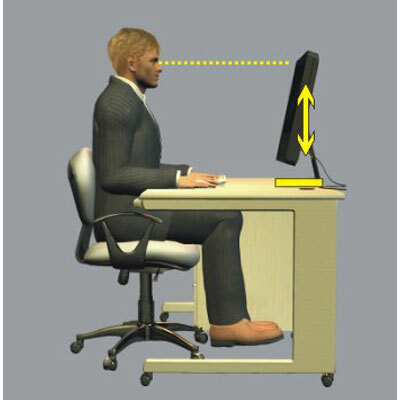 And since you can adjust it yourself, it is easy to maintain the right posture when you’re at your desk. When you have posture problems, one of the best options that you have is to get a good posture brace. So, make sure to choose the best posture brace for you.